Summer in Santa Fe, NM heralds the start of the “Music on the Hill” concerts. This is a series of FREE Santa Fe, outdoor, music concerts! Casa Escondida Bed & Breakfast is a Santa Fe area B&B, providing lodging in historic Chimayo, NM (only 35 minutes north of Santa Fe). 2013 is the 8th Music on the Hill concert season! The season kicks-off on Wednesday, June 12th, 2013 and they run through Wednesday, July 24th, 2013. Performances are on Wednesday evenings from 6 PM – 8 PM. This free concert event is the perfect pairing of the great outdoors with live music. There is a variety of music performed throughout the concert season. This year’s performers are Faith Amour (June 12), Joan Kessler and the Santa Fe Great Big Jazz Band (June 19), Straight Up, with J Q Whitcomb and Brian Wingard (June 26), Vinnie and Janice Zummo (July 10), the John Proulx Quartet (July 17) and Nosotros (July 24). Food can be purchased on site from various food and beverage vendors or you can bring your own and picnic on the field. No seating is provided. So bring your lawn chairs or your blankets. St. John’s College hosts this signature Santa Fe music concert event on their athletic field (next to the tennis courts). Due to the overwhelming popularity of this Santa Fe attraction, you are encouraged to park at Museum Hill and then take the convenient and FREE shuttle bus, which runs every 15 minutes (from 5 PM until 9 PM), between Museum Hill and the athletic field. There is also a drop-off-only location near the entrance to the athletic field on Camino Cruz Blanca. Experiencing one of these free outdoor concerts is a wonderful way to experience Santa Fe during your Santa Fe vacation. Casa Escondida B&B is a delightful New Mexico retreat, which has rooms available throughout the concert season. Perfect for a romantic New Mexico getaway. Contact Casa Escondida B&B to check room availability or to inquire about a reservation. Casa Escondida Bed & Breakfast is a green bed & breakfast, which provides pet-friendly lodging in 4 of our 8 guest rooms. 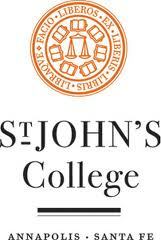 We are happy to provide you with a St. John’s College campus map while a guest at Casa Escondida B&B. Be sure to check the New Mexico weather before heading out to the concert. St. John’s college is located at 1160 Camino Cruz Blanca. Enjoy your New Mexico vacation AND the concert! Sorry but there are no pets allowed at this Santa Fe event.